Seikhim is a combination between very, very old energy practices and knowledge, and a Reiki “carrier wave”. Somewhere, at the junction of Sufi wisdom, old Egypt ancient mysteries and the universal principle of Love lies this system, brought into the world by an amazing man, Patrick Zeigler, who roamed the world in search of the ultimate evolution tool, bribed a guard to let him sleep in the Giza grand pyramid sarcophagus and was struck by what seems to be an attack of enlightenment mixed with a serious download. He came back into the world, processed the information for some time, worked with masters and friends and then offered to the world the Seven Facet Seikihim: a system that creates the path of healing through the heart. This set of tools for the seeker, the spiritual healer, the light worker is amazingly focused on Oneness. Many of the “traditional” rituals and techniques are based on separation or even create it, but this way of healing through the heart is aiming the Oneness. All you need is love. All Love. Where there is love, Everything is possible. Without Love, we experience our separation from Source. This One Heart ties in all aspects of creation. For the individual, the divine acceleration produced by Seikhim slowly shifts that person into loving all aspects of his/her own being and come to reach a state of re-uniting, not just with the Self, but with all Creation. Love creates the space for Healing, Learning and Sharing. This amazing opening that Seikhim creates in the heart and crown chakras allows us to fully experience who we are and what we become. For the healer, it is a soft, velvety but powerful instrument to gentle approach the healed one and heal from the soul, the emotional body, working with feelings and alchemizing them into true medicine. For the Reiki practitioner, Seikhim is an expansion of the horizon, not just in terms of adding more tools, like the newer systems such as Karuna or Shambala do, but also in terms of deepening the existing tools, adding this loving dimension, much more feminine and gentle, to the Source energy. 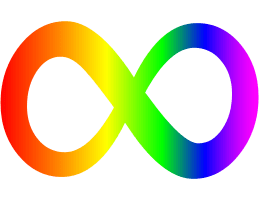 The rainbow dimension of Seikhim deserves a bit of thought, since this element – the totality of colors, and therefore ultimate expression of light – is so present in so many spiritual traditions and it occurs in certain situations. We can find it in the old Mu teachings of Hawaii, in the Celtic surviving legends (remember the pot of gold at the end of the rainbow?) and, quite prominently in the Buddhist practice. 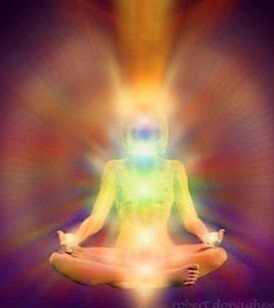 The enlightened boddhisatvas reach the ultimate phase of the light body – called the rainbow body. When high rank monks were cremated, rainbows appeared. Many people have stories about rainbows appearing in unlikely situations, usually related to higher states. There is a story of a rainbow bridge… and this list could go on and on. What is important is that there is something, something quite special about the rainbow. 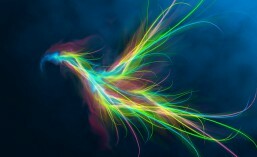 That it is indeed an element of connection, a reflection of a high vibration, a “GO” green light on the Path. The Seikhim Master Class provides seven levels of initiation. It is recommended both for seasoned practitioners and persons that are new to the energy work, since its intuitive nature and high power make it accessible and effective. It is a wonderful complement of Reiki, and covers in a gentle but deep way the emotional aspects of therapy where Reiki performs the energy effects. And, last but least, due to the tools provided in the advanced levels, it is a potent ingredient in the recipe for personal enlightenment. Its profound nature is highly favorable to solitary meditation, integration and personal evolution. To find out more about the system and receive the attunements, leave a note here or write to andreeai@yahoo.com. Questions and comments are more than welcome. HI, Stacey, it is better to receive the attunements directly. We will do it in the Amazon for all participAnts. I oFfer attunements via private skype seeion when there is really no other option.